Tusco’s cutting, punching and machining capabilities are extremely sophisticated. They combine speed, efficiency and precision to create display components cost effectively and just-in-time. Parts for your fixture can be designed with our CAD/CAM program, and then cut automatically using our Computer Numerical Control router to produce a finished part. Our Komo VR Mach One S can be programmed to machine a myriad of nonferrous (aluminum, MDF, particle board, composite, wood, etc.) material. If your fixture requires parts cut from sheets of metal, we can efficiently process a single prototype or a 1000 component run — without a tooling charge. Our Trumpf Trulaser 5030 laser is designed to process sheets of material up to 60″ wide and 120″ in length. It can mark and cut carbon steel up to one inch thick, stainless up to .750 inches thick and aluminum up to .600 inches thick. This high-speed and highly accurate laser can be utilized for metal cutting burr-free virtually anything that you can draw. Putting the correct holes in precisely the right places is vital – if you want your fixture to install quickly and easily in the field. Our Amada Vipros 358 King combines high speed with high accuracy to DNC control a hydraulic turret equipped with 58 punching stations that range from 1/2″ diameter through 4-1/2″ diameter. A staple of many fixtures is the basic wire. 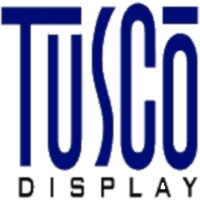 Straightening, cutting, forming, and resistance welding of single wires, wire frames and assemblies or complex grids has been a Tusco specialty for years. Wire ranging from 12ga. to 5/16″ diameter is no problem.